Air Hockey Plus is a free Windows 8 and 8.1 game app for everyone who loves playing the real air hockey. There are not many options available to play but it is a good alternative to the other air hockey games available in the Windows Store. 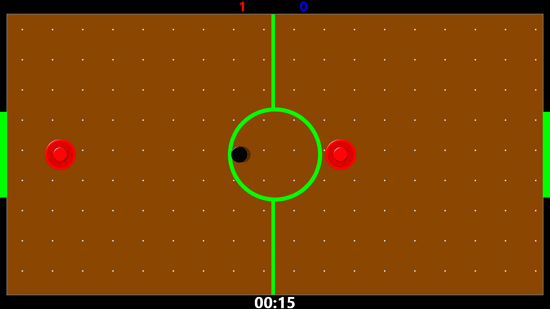 Some other air hockey games don’t work because they lack graphics. The interface of the game has been kept simple yet attractive, you will not be bored of the background or anything else while playing. Like all the air hockey games, Air Hockey Plus has air-hockey table in the background with each player’s area defined, a puck and two mallets, one for each player. 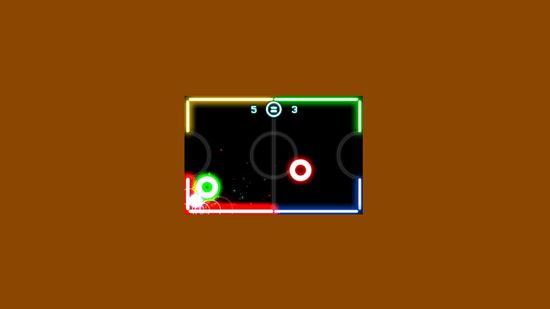 Air Hockey Plus has a dynamic interface, it works with your computer’s mouse. Whenever you have to move your mallet, you can just use your mouse to do so. The movement of mallet is not slow, it moves perfectly and smoothly. There are two game play modes in Air Hockey Plus. In the first one, one player, you play against the computer. In the second, two players, you can play with your friend. In two player game mode, both you and your friend will play using the same mouse. There are no settings for changing how the other player can play. When the turn of the other player comes, the mouse can be taken towards that player’s side so that the mouse can act for that particular player. One of the best things about Air Hockey Plus is that it resumes from where you left off, even if you have switched off your Windows 8 or 8.1 desktop and start it after hours. The game will be continued from your last shot. This Air Hockey Plus game is recommended for all the air hockey lovers and people who like sports game or on the table top games.